More platforms and more tools to make content for those platforms. It seems like the Dev Report —Next Reality's breakdown on the latest information on tools and processes to make augmented reality experiences — is going to be coming out on a much shorter cycle. Microsoft and Apple are the platforms we're focused on in this Dev Report. Microsoft and Apple, Apple and Microsoft. Hmm, that seems familiar somehow. Anyways on to what's new. Microsoft is no doubt trying to set their developers up for success. A new Microsoft GitHub repository has appeared called MRDesignLabs_Unity. 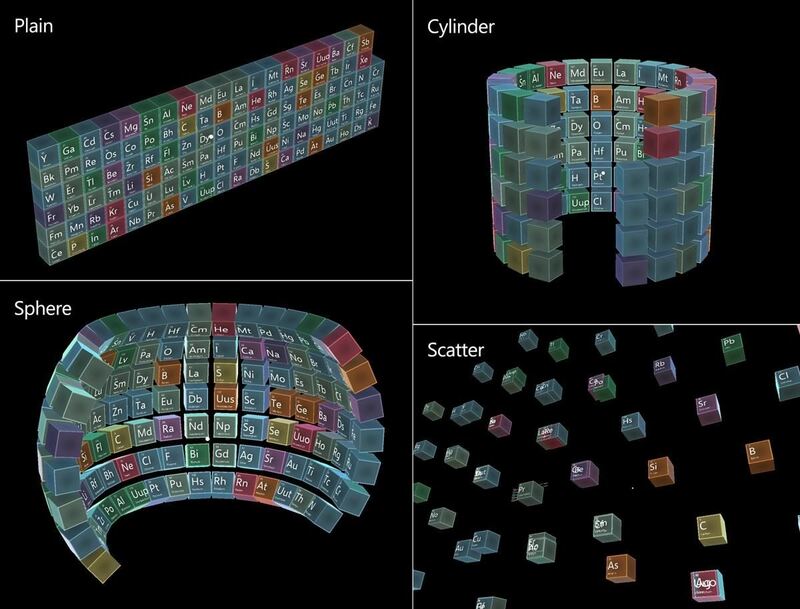 This collection of tools, art assets, and example scenes looks to be designed to give developers the means to help create a more unified look in Windows Mixed Reality. One big focus on this collection is buttons. 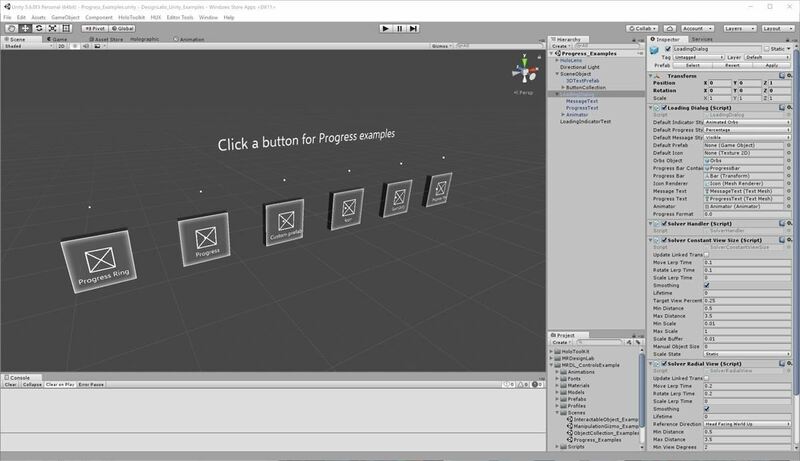 Many of these buttons, the various controllers, and even the progress bar, will have a very familiar look to HoloLens developers and users. The set provides tools to help in the creation of complex compound button behaviors, complete with sound and just about any other function a button should have (aside from the actual code to make it actually do something. You still have to provide that, of course). As mentioned, this tool set also provides a familiar Windows 10 progress indicator. One other significant tool that this set provides is the ability to move an object into various primitive shapes. This provides a quick and easy way to arrange and organize large collections of 2D or 3D data into easily digestible patterns. This is only an overview of the tools available in the collection. Make sure and check it out for more. And of course, it is a GitHub repo so new features will come, and you can add things yourself. 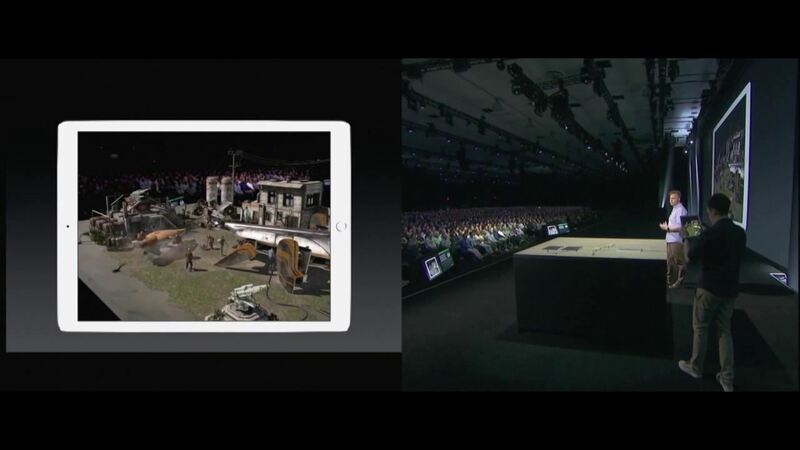 ARKit was announced with support for both Unreal Engine and Unity 3D, and Apple did a big stage demo showing off some of their work with Unreal Engine. While I'm a Unity user these days, Unreal Engine will always be my first love. Oh, the time we spent together in the days of the original Unreal game. An Unreal mod kickstarted my game dev career, so lots of water under that bridge. So, I started looking for a version of Unreal that would work with AR or specifically ARKit. Unfortunately, it was not yet available. At least until this past week. If Unreal and ARKit is something that excites you, go download it and get started. Unreal has always been an engine that looked amazing, and now that they've added AR capabilities, it seems like something magical should happen. I look forward to seeing what people make with it. Unfortunately, I have run into an issue that appears to involve provisioning and I am stuck for now. As soon as I get through this bug you should start to see Unreal ARKit development content showing up on Next Reality. What are your favorite tools for creating AR experiences? Let us know in the comments below.